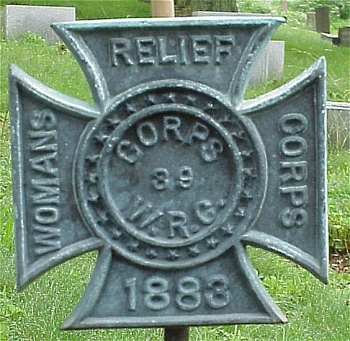 A Post Civil War phenomenon, the Woman's Relief Corps worked through local chapters to relieve the sufferings of disabled veterans, war widows, and orphans. 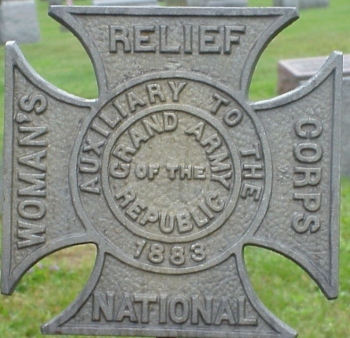 In the North it functioned as an AUXILIARY of the Grand Army of the Republic, but in the South, where the GAR had no equivalent, there nonetheless were units of the Women's Relief Corps. : Tampa, Florida, for example, was #5. Separate units run by black women on behalf of black veterans existed in the North; the Boston unit founded by Susie King Taylor and others in 1886 was # 67. 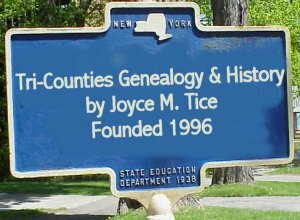 In addition, some areas had similar organizations with names like Ladies Relief Society or Ladies Memorial Society. 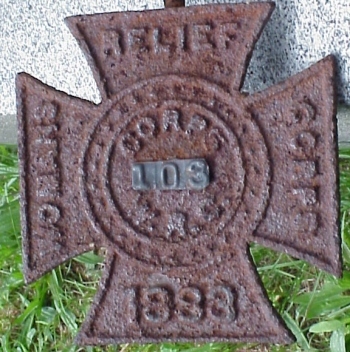 These groups concentrated on cemetery maintenance and the erection of war memorials. The May 30 observance of Decoration Day in the South and Memorial Day in the North owed much to the organization efforts of these women. Their era of greatest activity was in the 1880s and 1890s, when those who had been shaped by the war had begun to age, and they feared that wartime sacrifices would be forgotten as the nation rushed on towards the twentieth century. 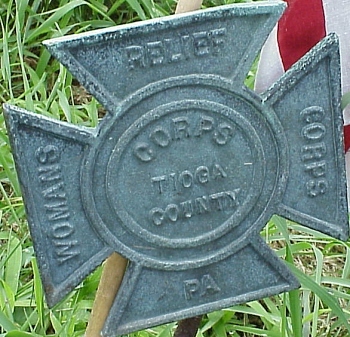 I am including four examples of these markers found in New York and Pennsylvania cemeteries in year 2000. I was looking at your web site regarding the WRC aux to the GAR. You show some of the flag holders. You state that it is the former wrc. The wrc is still in existence. We have state and national conventions. We have a museum in Springfield Ill. We still serve veterans and do historic preservation and Keep alive the memory of the GAR. We meet in conjunction with the Sons and Daughters of Union Veterans and the Aux to the sons and Ladies of the GAR. Together we are the allied orders of the GAR.